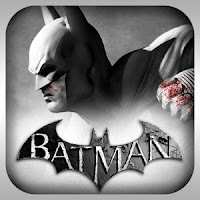 Home » Android Games » A New Batman Mobile Game is Out: Arkham Underworld - Download Now! A New Batman Mobile Game is Out: Arkham Underworld - Download Now! As is our usual practice to bring you the latest games trending in the world, we are happy to announce to all Batman lovers that there's a new Batman game out for mobile For iOS (and Android to be Available later). There have been various game adaptations of different parts of the Batman movie ever since its first release, and the latest game called Batman: Arkham Underworld is an adaptation of the happenings prior to the event of Arkham Asylum and Arkham Origins. Fight one-on-one with Dark Knight. The game is set in various iconic locations around from the Batman Arkham Series, and at the end you'll have to fight Dark Knight himself and defeat him to take his place as one of the most wanted villains in Gotham City. Currently, Batman: Arkham Underworld is only available for download on iOS devices. The version for Android should follow soon enough. For iOS users, you can get the game from the App Store by clicking the link below. Batman: Arkham Underworld is quite different from the other Batman games we've been having on mobile and could be the beginning of a new variety of larger Batman game adaptations for mobile. Meanwhile, Pokemon Go is still causing waves around the world and setting AR-related trends for mobile. What do you think about the new game Batman: Arkham Underworld? Have you downloaded it before and have been playing it for a while? Or are you heading to the App Store to download it right now? Perhaps the download is 80% complete? Do let us know what you think of the game after you've downloaded and played it.